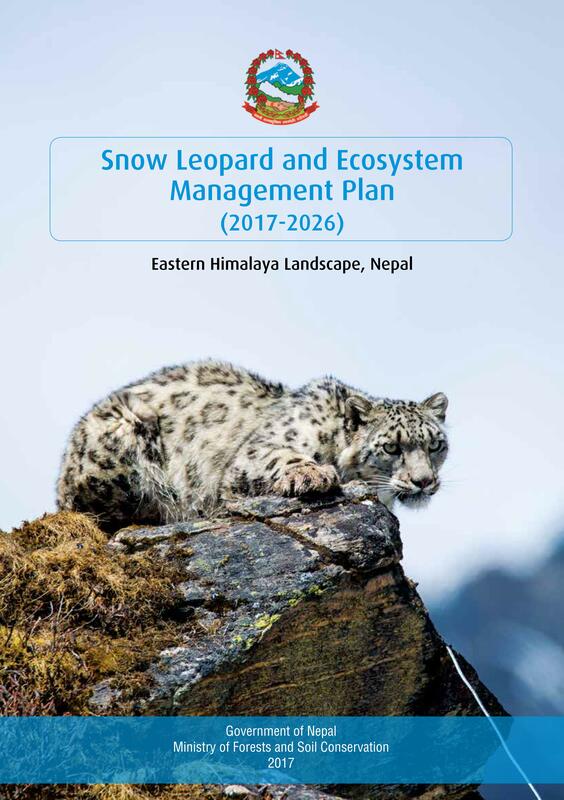 This management plan has been prepared by the Government of Nepal in response to the Bishkek declaration (2013) to secure 20 snow leopard landscapes by 2020. The management plan process involved extensive consultation and in-depth analyses of the current bio-climatic and socio-economic situation; an assessment of future scenario based on anthropogenic pressures and climatic impacts; and development of climate integrated conservation plan. In doing so, geospatial, hydrological and climatic analyses were undertaken to devise robust strategies that are anchored in the best available science. In addition, biodiversity, climate adaptation and landscape conservation policies, snow leopard conservation action plan, and management plans of the Protected Areas and District Forests Offices were reviewed to align the management strategies and activities with the priorities of the Government of Nepal.